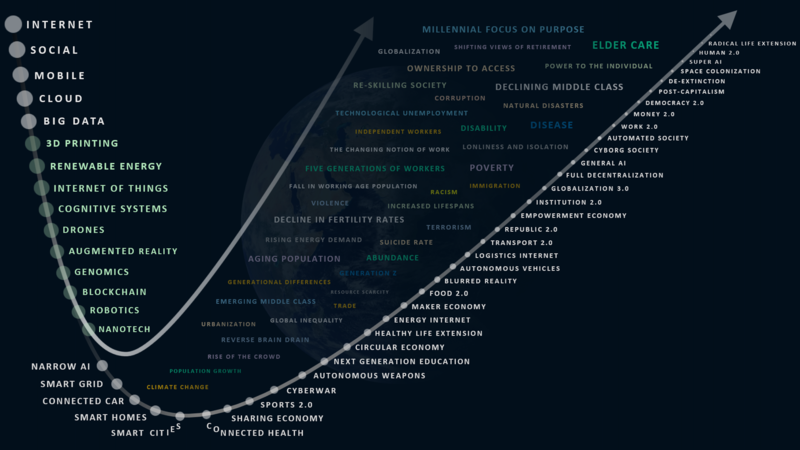 In a recent book titled The Future of Work, author Darrell M. West describes the Work 2.0 scenario on this emerging future visual. In exploring possible implications of a shifting work paradigm, he gets prescriptive about possible responses. This implication-response exercise sits at the heart of Future Thinking. The fast pace of innovation, technology, geopolitics, socio-economics and demographic factors is driving disruption in industry – for both the employer and the employee. HAP’s purpose is to build a sense of connectedness while you embrace a transformational shift of your awareness and skill sets to prepare for 21st century engagement. In this recent Article, Futurist Rohit Talwar explores the issue of robot taxes and long term unemployment. Although long, I recommend reading the entire article, but I captured some key points from the article below. This video provides a point of view from Bill Gates.